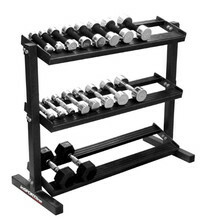 Racks for single-handed dumbbells are suitable for both commercial and non-commercial use. 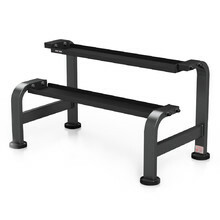 We offer racks for vin-bells, adjustable dumbbells and single-handed dumbbells but also various accessories. 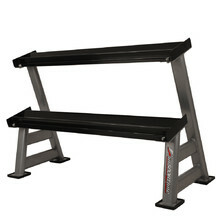 Dumbbell racks have a top-quality coating and high weight limits and longevity. Keep your gym clean and organized. Dumbbell racks are suitable for your home gym or a commercial one – everywhere you need to keep dumbbells at one place. If you want to keep your gym organized and clean, a dumbbell rack is an invaluable piece of equipment for you. 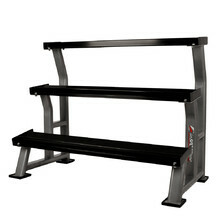 There are several types of racks, from two-row rand three-row racks to vin-bell racks and racks for other accessories. 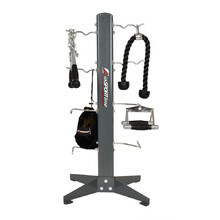 Professional rack for inSPORTline VIN-BELL dumbbells for safe storage in your gym. 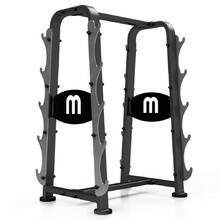 Single-handed dumbbell rack sith a solid metal frame, 20 places, rubber edges. 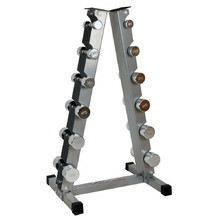 6-pair vertical dumbbell rack, suitable for home, club and commercial use. 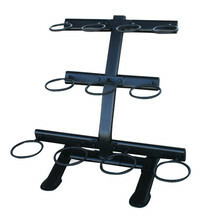 Accessories rack with solid frame and compact size, wide legs for better stability.